Valentine's Day simply isn't complete without a romantic candlelit dinner (or bath if you're feeling fruity). This year candle companies have been out in force with their limited edition scents. Love Bug by Flamingo Candles caught my eye and I thought I'd give it a whirl. 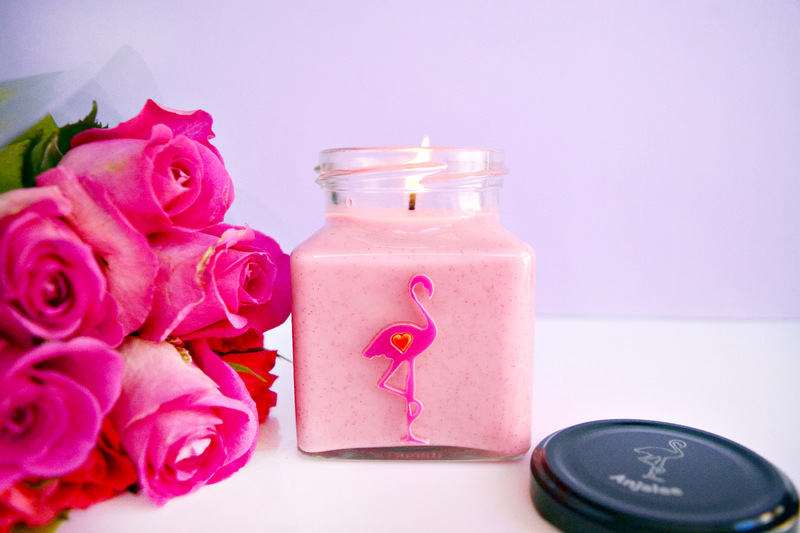 Love Bug comes in a specially designed jar, complete with bright pink flamingo and a cute little heart. What's more, Flamingo Candles are offering FREE name "engraving" (it's just printed, not engraved as described) on the lid until the 25th January. This made me particularly happy as, with an unusual name like Anjalee, it's not often I get to have personalized items. For an extra £4 you can opt to have the candle beautifully wrapped which is super handy. Described as a "strawberry sherbet delight" this candy pink candle has a deliciously sweet scent, reminiscent of bubblegum. 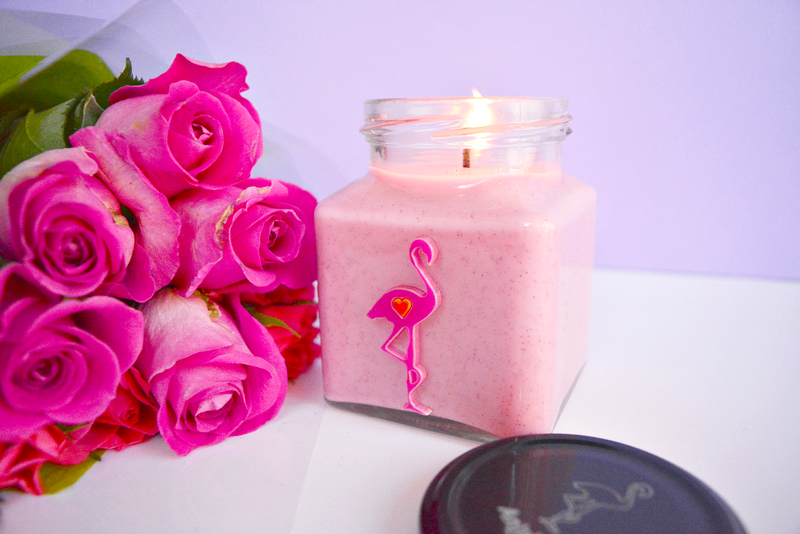 The candle itself has little flecks of pink glitter that when burned, leaves a pretty pool of pink glittery liquid. Oddly enough, Love Bug's scent is a lot milder when burned than when it isn't lit. I found that once I had lit it, I could, unfortunately barely smell the yummy, strawberry scent. I'd personally prefer if the scent was a lot stronger but if you are looking for a mild, pretty candle this Valentine's Day, Love Bug is perfect for you. 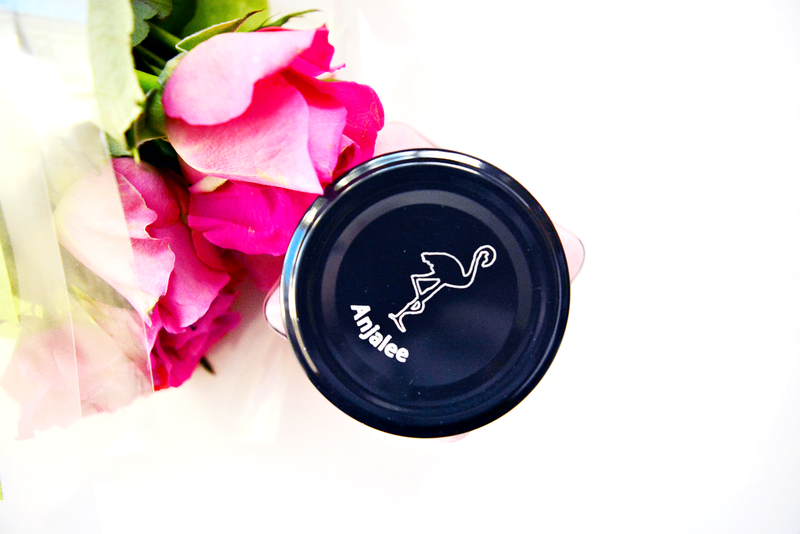 With the personalized lid it would make an adorable gift for your Valentine or Galentine. Have you got your Love Bug this year? What are your thoughts?